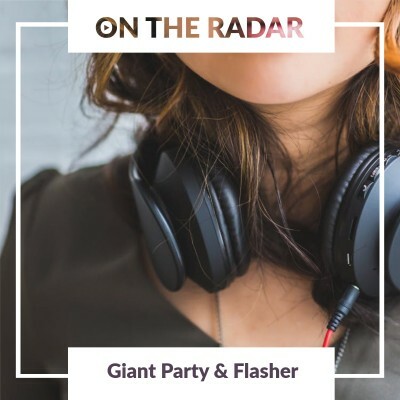 Reportedly a favourite new band of Elton John’s; Giant Party are a brash and bold mix of massive basslines with infinite groove, impassioned art rock and ultra cool electronica. The London based fourpiece emerged last year and have already shown great promise by being able to create eclectic music which is flawless in execution and truly rapturous in effect. Their first grab for a attention came with the silky smooth single ‘Ambulances’, a fusion of nu disco and soul with more than just a hint of Phil Collins classic spacious vocals. It would be followed by the bass laden single ‘Tongue Tied Lightning’ which has all the decadent joy of a tropical summer holiday and just begs to be remixed. Perhaps the first real sign that something exciting was going on has come with the two tracks they have released this year so far. ‘White Ink’ starts with what sounds like a sped-up loop sample of a Bollywood soundtrack before bringing in a massive bass riff to create a massive dancefloor filler complete with an impressively confident vocal delivery. Plus ‘Actress’ which leaps from a Bowie-esque Berlin trilogy track to plunge into a sad soul number before a final mad dash of psyche energy towards the finish. The two songs show a huge sphere of influences which they pool to explore through huge diversions whilst somehow managing to maintain a sense of cohesion. Given their obvious commercial appeal, it will not be long before Giant Party will make good on their name and begin playing to packed out audiences in much bigger spaces. So, make sure you catch them at the relatively intimate setting of The Lexington when they play a headline set there on Wednesday 24th of October. Giant Party tickets are currently on sale. Having just released their debut album ‘Constant Image’, Washington DC trio Flasher are riding high and ready to take on the world. Drawing on elements of art rock, C86 shimmering indie and post punk, Emma Baker, Daniel Saperstein and Taylor Mulittz (also bassist of Priests) have combined to create a punk rock exploration of identity through which they can reveal themselves. ‘Pressure’ is the lead single from their newly released debut album ‘Constant Image’. The song rapidly breezes through disjointed yet melodic guitar riffs, LoFi chugging chords and a bright feel which almost distracts from the songs meaning, describing feelings of alienation despite being deeply enmeshed in their hometowns well established punk scene and the resulting ever-increasing anxiety. The song is an accurate snapshot of an album which leans towards indie pop that is unafraid to explore a variety of styles in their impressive attempt to present a new form of individuality. ‘Constant Image’ has been released through Domino Records, a label well renowned for its impeccable roster and is available on MP3 and Sunburst vinyl LP. Flasher head on over to the UK to show off their new material by taking over The Lexington in London on Tuesday 13th of November. Be there! Flasher tickets are currently on sale.